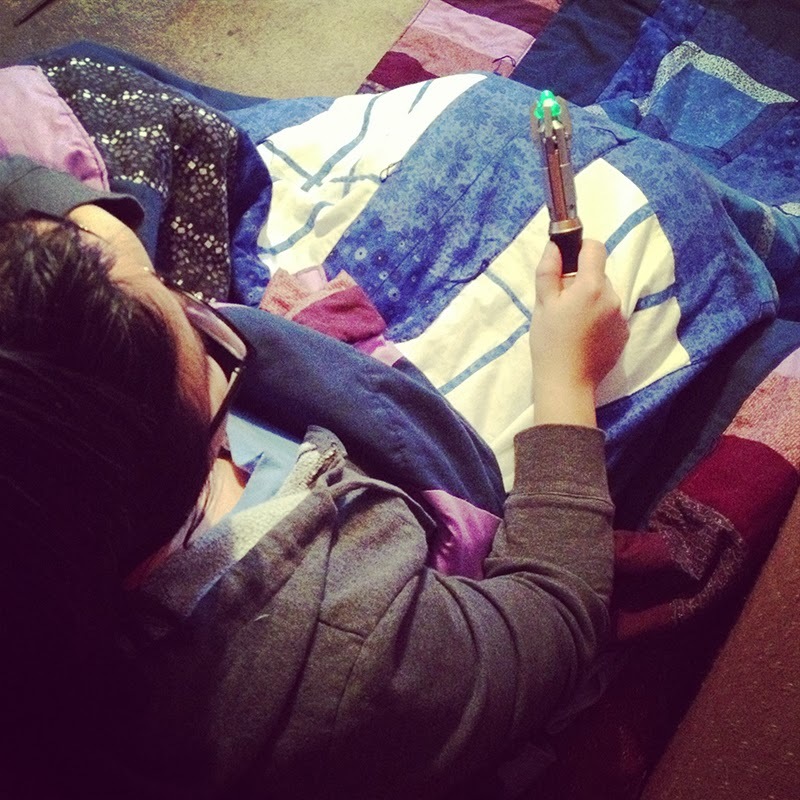 All my fellow nerds out there are probably well aware that this weekend marks the 50th anniversary of Doctor Who. 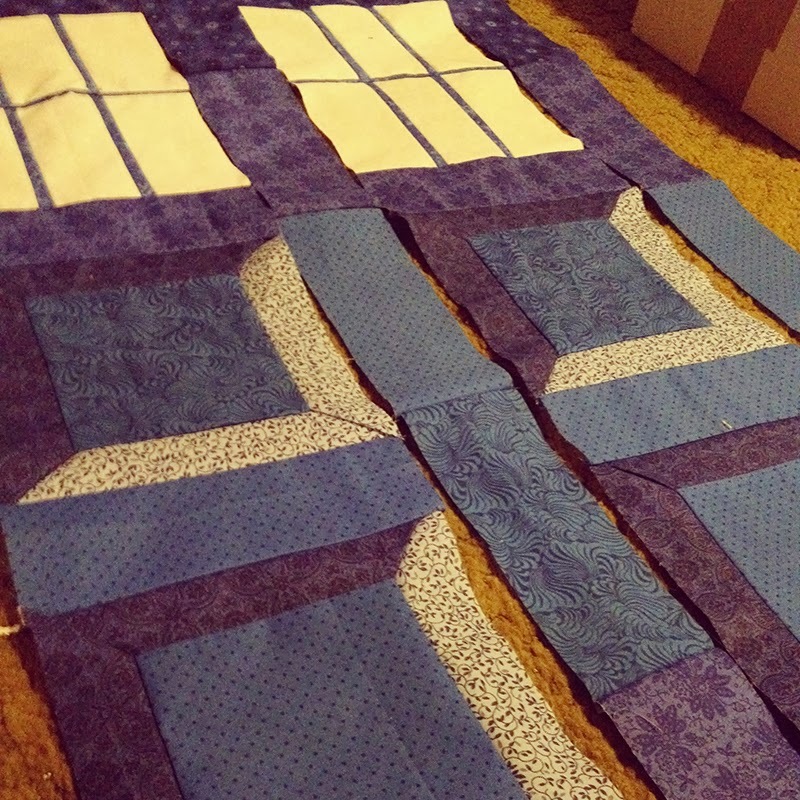 I thought this would be a good time to share the TARDIS quilt I made earlier this year for my Whovian sister, Dani. 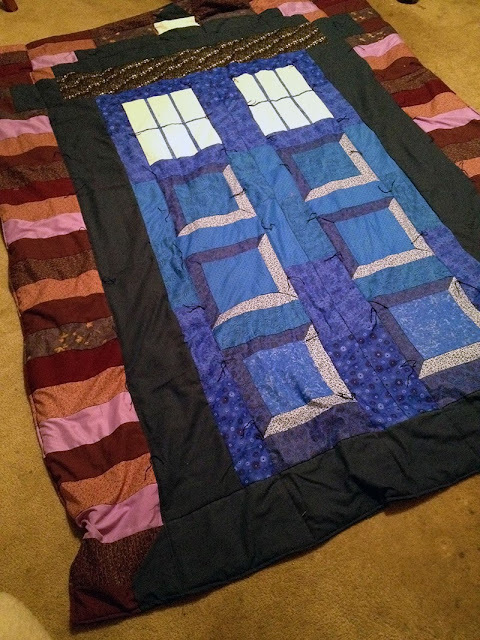 Aside from a small, simple lap blanket I had previously done, this was the first quilt I had ever really made. And on top of that, I created my own pattern for it by just sketching it out on graph paper. There was a lot of improvising and tweaking along the way. 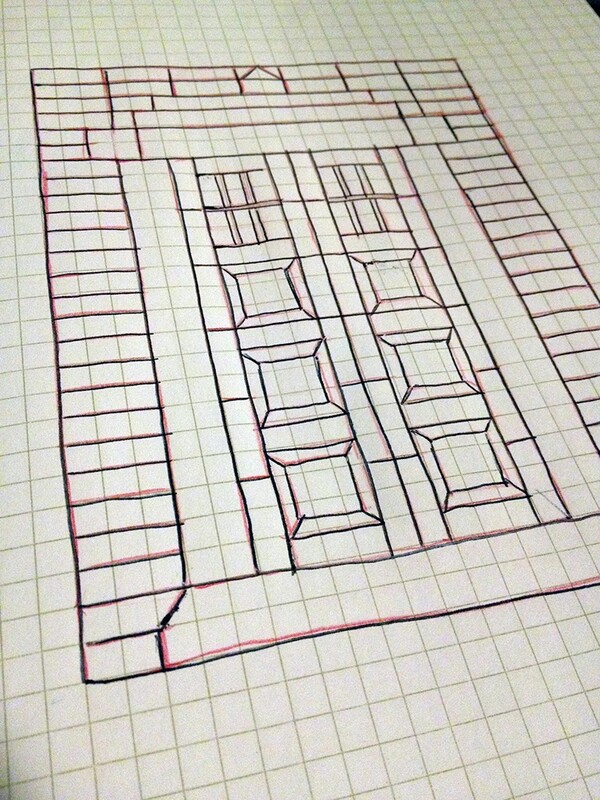 I probably did a lot of things wrong, so don't look too closely. ;) My sister loved it, and that's all that mattered to me.